just a quick update of today's outfit! Since I did not have a proper photographer (the boy is working) I had to take the picture on my own. Sorry for that - but... it's all about the skirt, so it shouldn't be too bad, right? 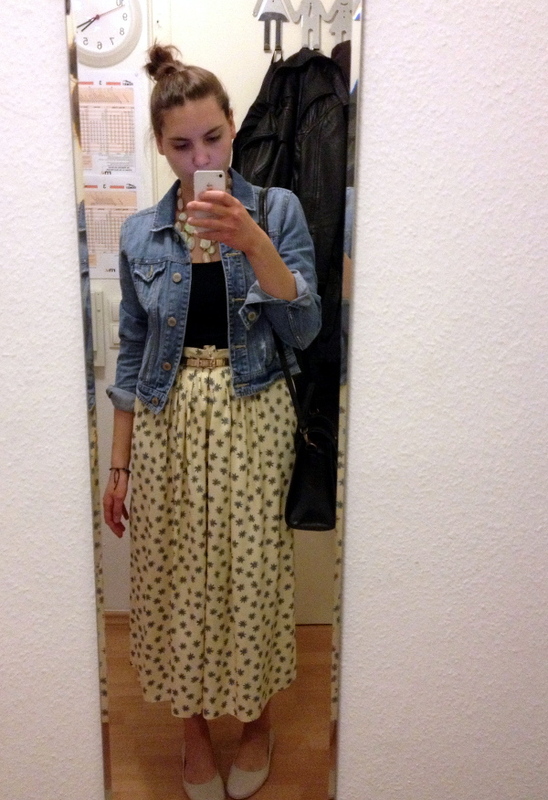 This is the skirt I bought in Vienna and since it's so nice and warm outside lately I am actually able to wear it - yay! Isn't this skirt quite perfect for summer? I am so in love with the light yellow color and that cute flower print - aaaand... it matches so well with my new ballet flats I got last week during Glamour Shopping Week. You can safe so much money during that Week - did you also find something nice and beautiful? Below you can see a close-up of my new shoes! 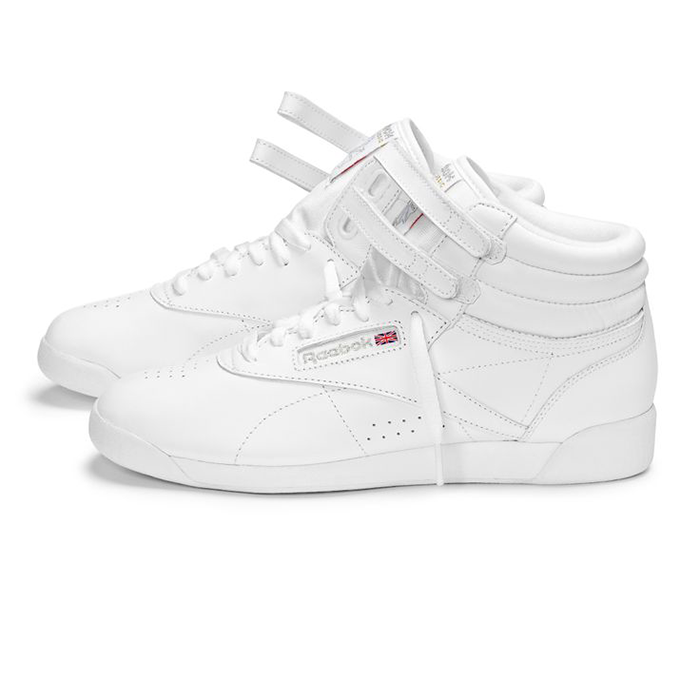 I really love the off-white color, because it matches so many different outfits and they're comfy as hell - you can walk in them for hours - literally. 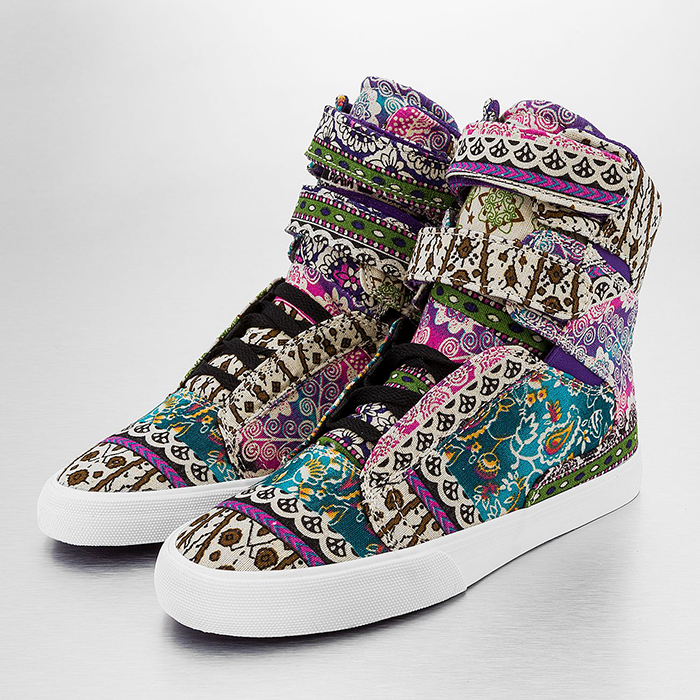 A pair like this was truly missing in my wardrobe! Just one tip if you're also planning on putting your hands on these! They do run really big and I had to go down a size! Get them in off-white, red, silver, olive and black. Das Outfit steht dir sehr gut:). Ich wünsche dir auch gute Besserung und hoffe das wir bald wieder unseren Wunsch-Schuh tragen können. Ich wünsche dir ein schönes Wochenende.